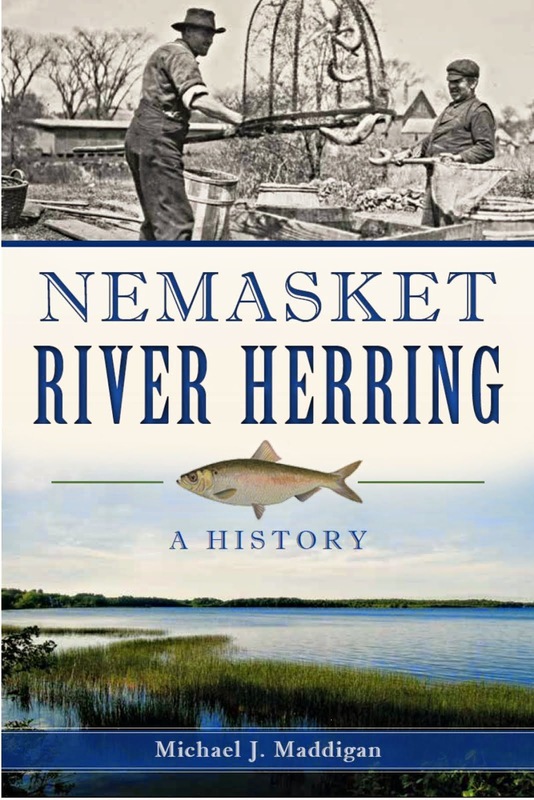 Surely one of the more unusual crops ever cultivated in old Nemasket was the Chinese sugar cane raised in the mid-nineteenth century on the farm of John Warren at Warrentown in Middleborough. 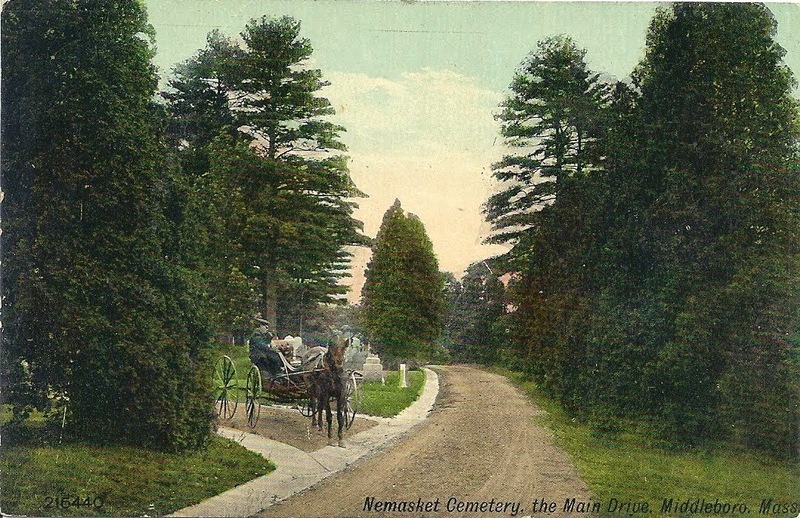 Warren's eighty acre farm straddled both sides of Summer Street, and extended westward to the Nemasket River, just south of Murdock Street, and it was there that the cane, better known as sorghum or sweet sorghum, was grown for a period of about eight years from 1857 to 1865. (Other Middleborough and Lakeville farmers like John Montgomery and J. P. Nelson would also cultivate sweet sorghum). 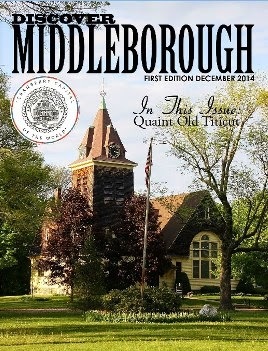 It was shortly after the introduction of sorghum into New England in the mid-1850s that Middleborough farmers first were widely exposed to the plant. A book on the subject of the cultivation of sorghum published by John P. Jewett & Company and available to Middleborough farmers for "but 25 cents", was brought to the attention of the local community through the pages of the Namasket Gazette in January, 1857. Both book and newspaper extolled the plant's versatility. In addition to being a source of sugar, sorghum could be utilized as animal feed, paper pulp and broom straw, as well as yielding a color-fast red dye. "It is a beautiful plant, growing to the height of ten feet, resembling broom corn, and is cultivated in the same manner. This article produces excellent syrup and sugar, alcohol and cider, the husk and stalks make good fodder for cattle, the seed is equal to oats for fattening swine and poultry, the trash after the stalk is pressed makes a good article for paper, - while the bush top is good for brooms. The juice of the husk when set with alum will dye a beautiful permanent red." Incentive to produce home grown sugar cane was provided by the fact that Southern-produced sugar and its derivative molasses was raised by slaves and was therefore seen as morally objectionable by an increasingly large sector of the New England populace. 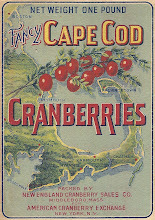 Additionally, the advent of the Civil War in 1861 would bring with it a drastic reduction of cane sugar imports into New England, and increased demand (and prices) for such alternatives as maple sugar and New England-produced sorghum syrup. It is not known when Warren first began cultivating sugar cane on his Summer Street farm, though 1857 seems likliest. By autumn of that year, Warren had harvested cane and erected a sugar mill which incorporated machinery to grind cane and extract its sugary juice. Of the mill the Gazette reported: "We understand it operates to a charm and that he has been doing a thriving business." And, indeed, Warren's sugar business must have been thriving, for besides the cane mill there was a sugar house on the farm, as well. The sugar house was a necessary adjunct to the large-scale production of sugar and its existence on the farm attests to the likely presence of evaporators, great shallow tin pans in which cane juice would be reduced through boiling to syrup. Such evaporators were just coming into vogue among New England sugarmakers in the late 1850s and early 1860s, and Warren seems to have adopted them with enthusiasm. Previously, sugarmakers worked out of doors, boiling their sap in great iron vats, but the advent of evaporators not only expedited the sugar-making process, but allowed sugar makers to work under cover. Warren's sugar business was remarkably well equipped. 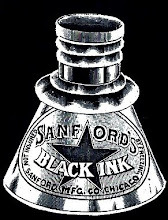 In contrast, Rochester cane growers Bradford and Dennis Sherman, who cultivated the crop on a smaller scale, employed bakers rollers "such as are used for kneading dough" for extracting their juice. The record of the Shermans' 1857 harvest, however, does indicate the work involved in cane growing. Their one square rod of land yielded some 250 pounds of cane which produced 13 gallons of sap which, "boiled down to the desired consistency ... yielded two gallons of good syrup or molasses." 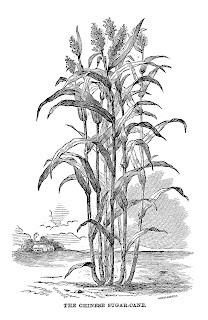 The history of Warren's sorghum cultivation is noteworthy as it reflects the sensitivity of nineteenth century Middleborough farmers to advances in agricultural technology and developments, and contrasts markedly with the unfortunate modern tendency to depict farmers of a century and a half ago as conservative and lacking innovation. 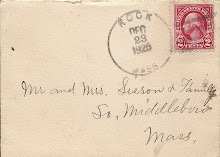 Many farmers including those in Midddleborough and Lakeville were keenly aware of developments in the field of agriculture, including scientific advances, through agencies such as the Plymouth County Agricultural Society, as well as agricultural journals and periodicals such as the Massachusetts Ploughman and Boston Cultivator. 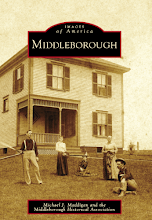 Among Middleborough farmers, Warren seems to have been remarkably attune to agricultural opportunities and his sorghum operation, though short-lived, was a well-advanced one which included both a cane mill and a sugar house incorporating the latest sugar-making technology. “Exepriments in the Cultivation of Sorghum”, Massachusetts Agricultural Report, 1857, part 1, pp. 117-145, 149-215; part 2, pp. 157-222, 170, 38, 225, 229, 234. Chinese Sugar Cane (Sweet Sorghum) frontispiece from James F. C. Hyde, The Chinese Sugar-Cane (Boston: John P. Jewett & Company, 1857). 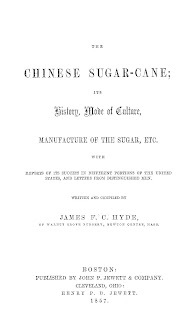 Title page, James F. C. Hyde, The Chinese Sugar-Cane (Boston: John P. Jewett & Company, 1857). Although Jewett's work was the one advertisied in the local Gazette, other texts on the new Chinese sugar cane were published in 1857 including Henry S. Olcott's, Sorgho and Imphee, The Chinese and African Sugar Canes (New York: A. O. Moore, 1857) and Charles F. Stansbury Chinese Sugar Cane and Sugar Making (New York:C. M. Saxton & Company, 1857). 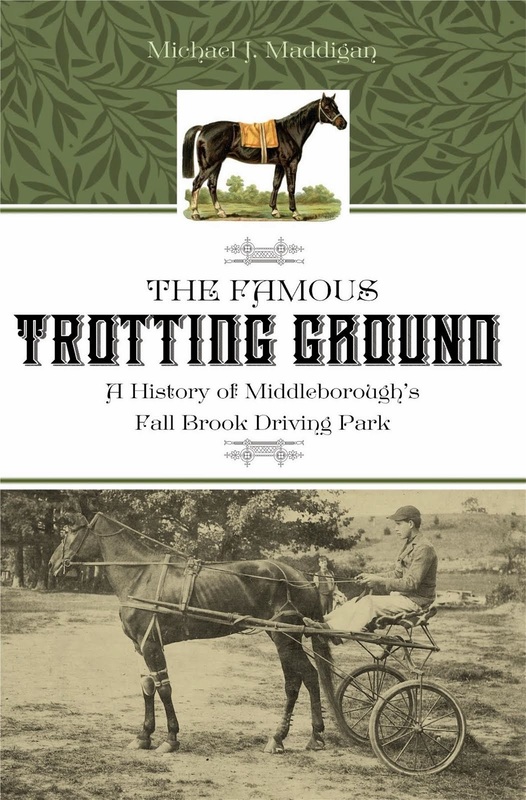 Works like these were responsible for popularizing, albeit for a brief time only, the cultivation of sorghum in Middleborough and Lakeville. 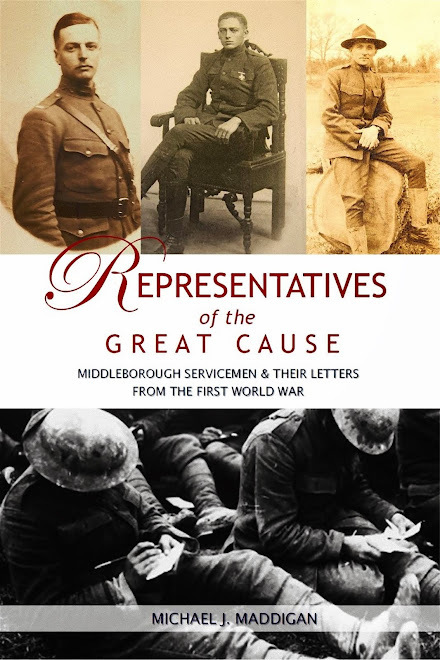 (All three may be read in online versions by clicking on the titles). 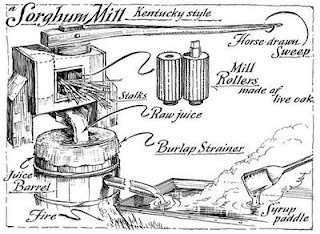 "A Sorghum Mill", Eric Sloane, Once Upon a Time: The Way America Was (Dover Publications, 2005). Sloane's informative drawing depicts the method by which sorghum cane was processed into syrup. 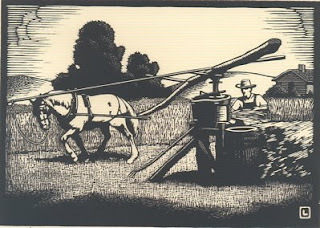 "Sorghum Mill", Herschel Logan, 1938, woodcut print. This print by American artist Herschel C. Logan (1901-87) depicts the typical operation of a sorghum mill in which a horse walked in a continuous circle turning the corrugated rollers. Between these two rollers, stalks of sorghum would be fed, the extracted juice flowing through a spigot and collected in the barrel below.